Alabama’s key workforce development programs are being restructured into a “One Stop Shop” within the Alabama Department of Commerce to facilitate business expansion and streamline economic development efforts. 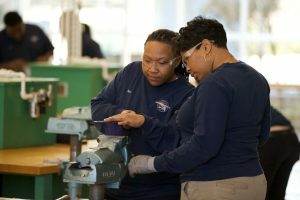 Following recent action by the state Legislature on guidance by Governor Robert Bentley, Commerce is creating a new Workforce Development Division headed by Ed Castile, the longtime leader of AIDT, the state’s top-ranked job-training agency. Castile will hold the title of Deputy Secretary at Commerce and remain in charge of AIDT. 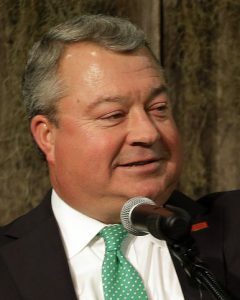 Alabama Commerce Secretary Greg Canfield formally announced the initiative to economic development professionals this week at the summer conference of the Economic Development Association of Alabama (EDAA) in Point Clear. Workforce development functions of the Alabama Department of Economic and Community Affairs are being consolidated in the new Commerce Workforce Development Division. These include Workforce Investment Boards, Alabama Career Centers and the Incumbent Worker Training Program. The state’s small business functions are being moved into a newly created “Business Development Division” within Commerce. AIDT, now a stand-alone division within Commerce, is being shifted to the Commerce Workforce Development Division. The Alabama Workforce Council, a panel established by Governor Bentley to improve educational outcomes and strengthen workforce and economic development efforts, is being transferred to the Commerce Workforce Development Division. Secretary Canfield said properly aligning Alabama’s previously fragmented workforce development programs will enhance the state’s competitiveness as it pursues new investment and jobs. He added that a top priority for expanding companies is finding a location where the available workforce has the right mix of education and skills. AIDT, the centerpiece of Alabama’s workforce development efforts, trains job candidates for career opportunities in automotive manufacturing and other industries. The legislation authorizing the new Commerce Workforce Division was proposed by Rep. Alan Baker, R-Brewton. Read the Alabama NewsCenter’s article on Secretary Canfield’s EDAA announcement.